Tulsi Crafts is a label for high quality fashion and interior accessories, ethically made by hand in Bangladesh. The story of Tulsi Crafts is about respect for the people who make our products. We offer stylish, quirky and fair products. High quality in design and execution is very important to us. With Tulsi Crafts you’ll find that one special product. Made with love and attention, you see the hand of the maker in the embroidery or weaving. You can see the collaboration between The Netherlands and Bangladesh in the crisp and simple designs that, together with the craftsmanship from Bangladesh, for a unique collection of products. 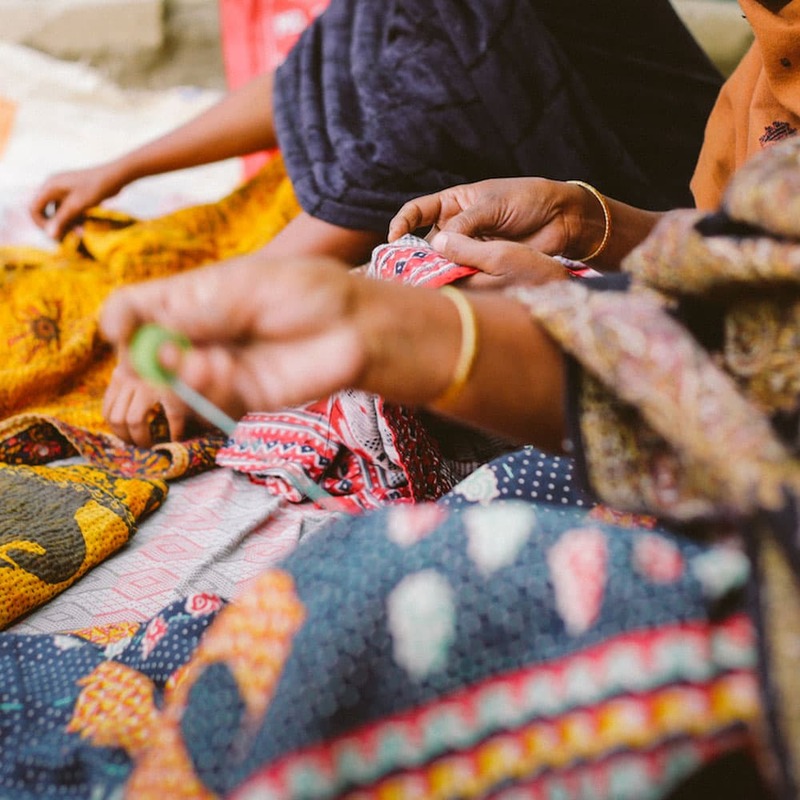 We choose to work with artisans specialised in handicrafts, because weaving and embroidery is still common in the countryside of Bangladesh, so we can create employment there. Our goal is to empower the women who make our products. Tulsi Crafts was founded by Margot Lieftinck in 2012, after travelling in Bangladesh. Bangladesh is a country of enormous contrasts, the gap between rich and poor is enormous. One way to reduce this gap is to engage in fair and ethical trade, to ensure the people who produce the products are able to earn a living wage. In this way women are able to support their families and send their children to school. It also gives them the chance to educate themselves and make a better life. Giving these opportunities to women has been proven a very effective method to fight poverty and ensure a better future for the children of Bangladesh. Read more about Tulsi Crafts on Margot’s blog. From stylish chic silk to bold and bright cotton, our hand embroidered throws and scarves are made from vintage saris. Nothing is thrown away in Bangladesh. 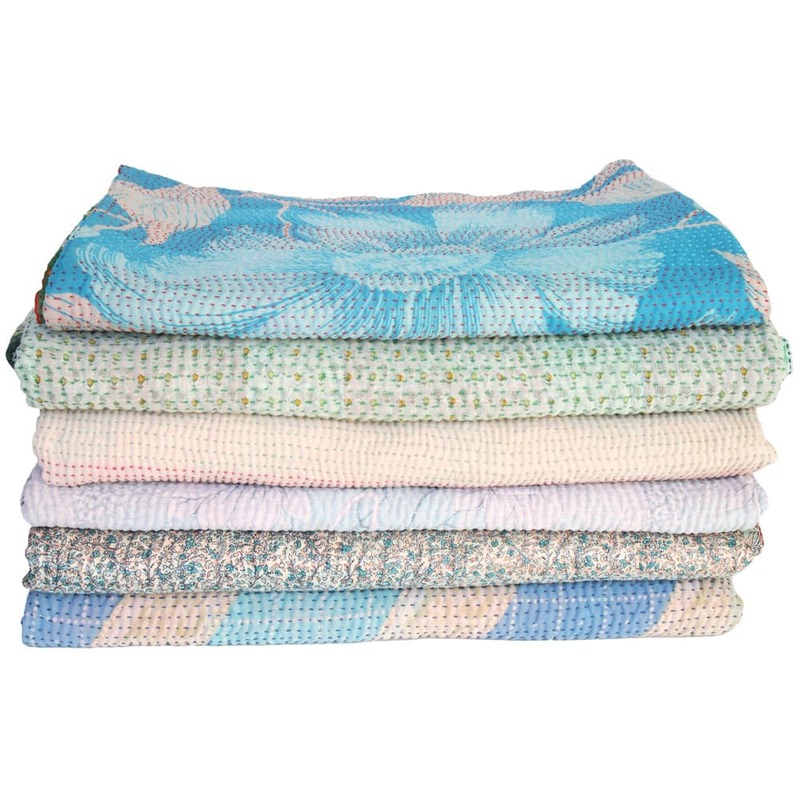 Each throw and each blanket is unique, the wide range of colours and patterns always offers something that suits you. For the production of our sari throws and scarves we collaborate with an organisation active in Bengal, both in India and in Bangladesh. Bengal is the home of kantha. This organisation gets women out of forced prostitution and assists them with building a new life for themselves. Some of the women make kantha scarves and blankets for Tulsi Crafts. Stitch by stitch they build a new life, while giving a new life to vintage saris as well. You can see the love, attention and time they’ve devoted to their kantha work. In Bangladesh vintage saris are traditionally used to make quilted kantha blankets. Kantha is the traditional Bengal embroidery. The front and back of the blankets and scarves are made from different saris, to create a wonderful contrast. 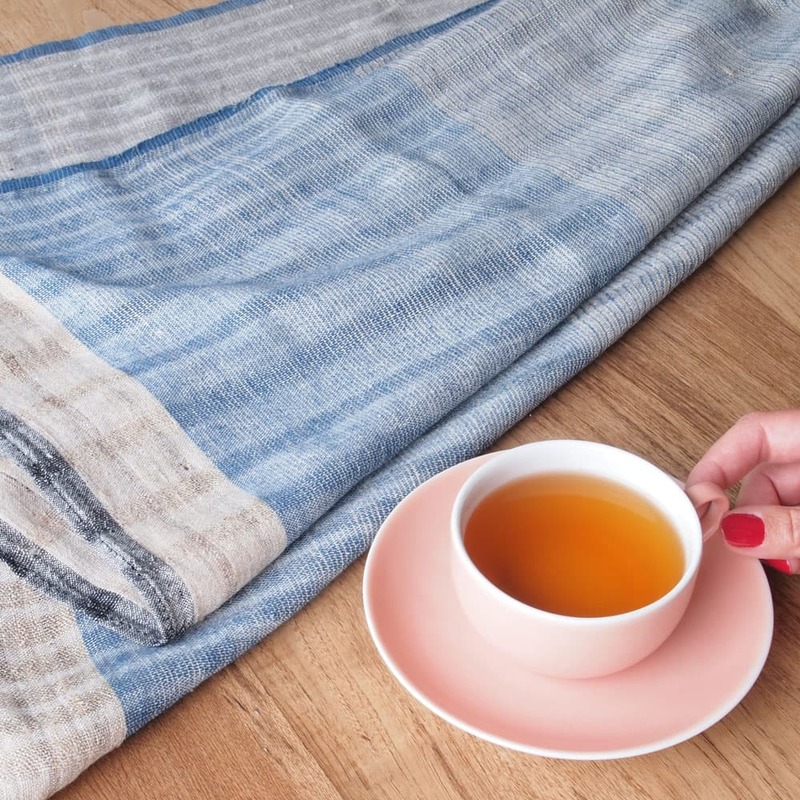 You can use these quilted throws for many different purposes: as a bed cover, a throw on the sofa, or in your garden, a blanket to take to the beach or for a picnic! Jute is a wonderful material, often called ‘the golden fibre’. It’s also a very strong and environmentally friendly material. It grows as a rotation crop in the rice paddies of Bangladesh and don’t need pesticides, fertiliser or extra water during growth. It’s also suitable for vegans. Because jute is so strong, it is a very suitable material to use for bags. Tulsi Crafts designed crisp bags with clear lines, combining wonderfully with the traditional Bengal weaving techniques. 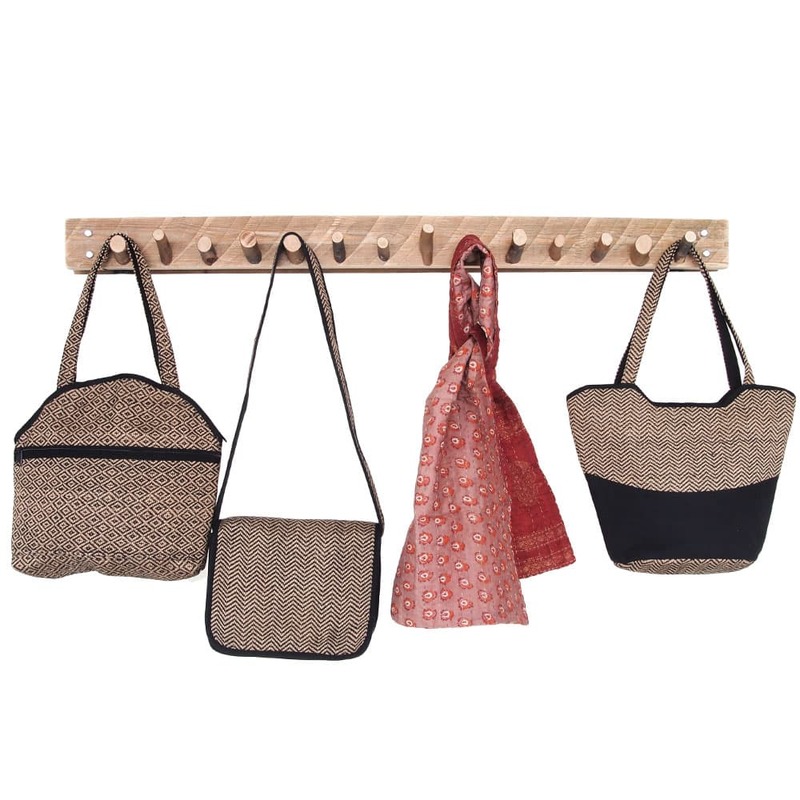 With these bags Tulsi wants to show you that jute can be used for so much more than shopping bags. The extremely fast growing population of Bangladesh has lead to a building boom in the country and thus a massive increase in cement usage. 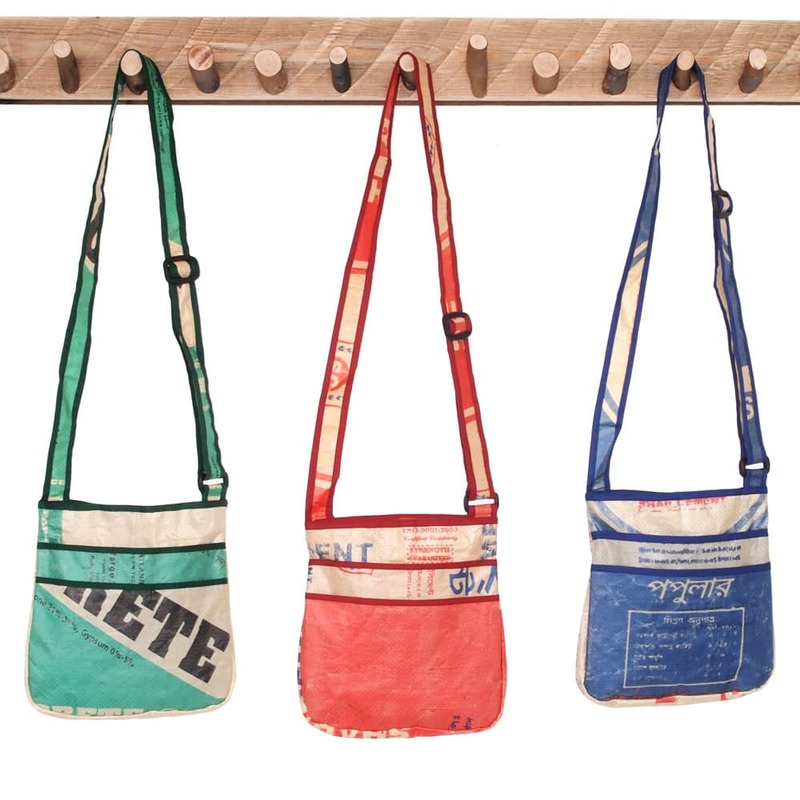 The cement sacks are made of plastic, as paper bags would not last in the humid climate of Bangladesh. This makes the sacks very suitable for recycling. After the cement has been used, the leftover bags are collected and bought by a fair trade organisation that recycles them into all sorts of wonderful products such as sturdy bags and sleeves. The people who make our products receive a fair wage, a fair wage is a living wage. The workplace needs to be safe and healthy. Working overtime should not be pressured. No discrimination, gender equality and freedom to organise in a union. Chances for the artisans to develop themselves through offering relevant schooling. Read more about the makers of our products here.